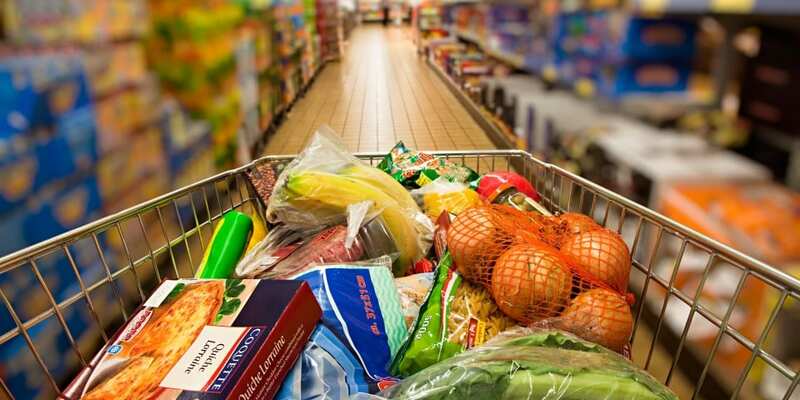 Inflation stuck at 1.9% in March 2019, according to the latest figures published by the Office for National Statistics (ONS), where the rising costs of motor fuels were offset by price drops in food, clothing and footwear. Inflation remains the same as it was in February. In January, inflation was at 1.8% – its lowest point for two years. Inflation remaining low should be good news for your savings, as it should be easier to find accounts with rates that can beat it. But recent research from Moneyfacts has found that the average rate for some fixed-rate savings accounts have, in fact, begun to fall. With this in mind, should you lock your cash up now, before rates fall even further? Which? explains why the rate of inflation has gone up/down, and reveals which savings accounts can beat it. What are the best savings accounts to beat inflation? The table below shows the top-rate inflation-beating savings accounts and cash Isas for each fixed term, in order of the length of the term. The links take you through to Which? Money Compare. *Expected Profit Rate. Source: Which? Money Compare. Correct 17 April 2019. As the table shows, all of the top-rate accounts other than a one-year fixed-rate cash Isa can beat inflation. However, they also require you to lock up at least £1,000 to qualify – so those with smaller savings pots will have to look elsewhere. While savings accounts for all terms offer a higher rate than cash Isas, don’t forget that cash Isas have the additional benefit of being tax-free. Any interest you earn in a savings account will go towards your personal savings allowance (if you have one; it depends on whether you’re a basic-, higher- or additional-rate taxpayer), whereas all interest is completely free from tax when it’s saved in an Isa. If you have a large savings pot and/or have a high income, this benefit can easily outweigh what you lose in interest. Have fixed rates started to fall? As inflation has fallen over the past few months, hundreds of accounts now pay interest to outstrip rising prices. But recent figures from Moneyfacts suggest that could be about to change, as the average rate of one-year fixed-term accounts has fallen for the first time this year to 1.42% – well below inflation. While the drop has only been by 0.05%, this is the most significant month-on-month dip in rates since September 2016, and could be a precursor to other savings account following suit. The top rates, however, are significantly higher – the Bank of London & The Middle East’s 2.20% EPR is followed by Al Rayan Bank’s 24-month fixed-term deposit, with 2.17% EPR, and a further three accounts pay 2.00% AER or more. So, it’s still very possible to beat inflation with a one-year fix – for now. For this reason, if you’ve been considering a fixed-term account, it may be a good time to bag a competitive rate. Currently, no instant-access accounts can beat the CPI rate of inflation. However, if you’re looking for an account that allows you to have the flexibility to withdraw your cash whenever you like, top rate for savings accounts is currently 1.5% AER – offered by Kent Reliance, Newbury Building Society (which can only be opened by local customers living in certain postcodes) and Marcus by Goldman Sachs. The latter includes a 12-month bonus; after which point the AER will drop to 1.35%. As for instant-access cash Isas, you can get up to 1.46% AER from Leeds Building Society and Yorkshire Building Society. Yorkshire BS’s account only allows one withdrawal per year, so make sure this restriction will work for your circumstances. If convenience is key, you could also consider Monzo’s new instant-access cash Isa, which is now available to open. It pays 1.14% AER and withdrawals take one working day to turn around. Why has inflation remained the same? The ONS found that the main factors behind inflation staying at the same rate were a mix of price rises across motor fuel, packaged holidays and new cars, counteracted by prices falling on clothing and footwear, games, toys and some food items. The graph below shows how the CPI rate of inflation has changed since 2013, with figures sourced from the ONS. The Bank of England aims to keep inflation as close to 2% as possible. Inflation has mainly been around this point since it peaked at 3.1% in November 2017. How does CPI inflation affect your savings? CPI inflation tracks the prices of around 700 commonly-bought goods and services within an imaginary shopping basket, and each month’s figure shows how much those prices have risen or fallen since the same time the previous year. So, buying everything in that shopping basket this year is 1.9% more expensive than if you’d have bought them in March 2018. If, over that year, you’ve had savings sat in an account that pays less than the rate of inflation, your money will have lost value in real terms, as it will not be able to buy you as many things in the shopping basket as it could the year before. This means that, just to break even, you need to find an account that at least matches the rate of inflation – or, ideally, beats it. Kent Reliance holds the top spot for its one- and two-year fixed-rate cash Isas, and its one-year fixed-rate bond pays 2.00% AER. The bank scored highly in our customer survey for its interest rate information. Leeds Building Society offers a top-rate instant-access cash Isa (mentioned above), as well as a one-year fixed-rate cash Isa paying 1.51% AER. It’s been praised for its customer service, clarity of statement and interest rate information. Skipton Building Society’s two-year fixed-rate cash Isa pays 1.60%, while its three-year fixed-rate cash Isa offers 1.70%. Both require a minimum initial deposit of £500. It achieved five stars for its customer service and clarity of statement.